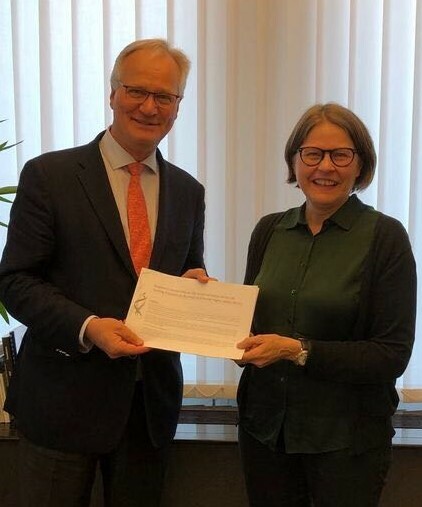 The chair of the Responsible Business Conduct working group, Heidi Hautala, has handed over the Shadow EU Action Plan on Business and Human Rights to the Director General of DG Justice Tiina Astola, the Deputy Secretary General in charge of Global and Economic Issues at the European External Action Service, Christian Leffler and William Sleath from the Secretariat-General of the Commission. 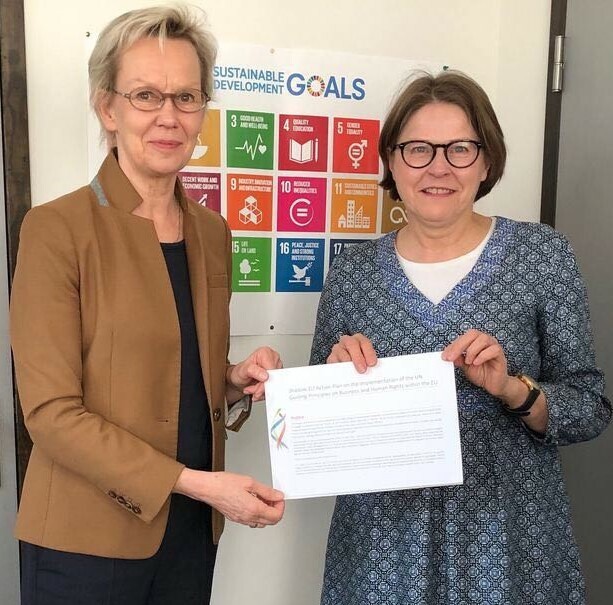 This Shadow EU Action Plan is a signal to the European Commission and the Council of the European Union that time is ripe for the EU to put systematic and effective measures in place implementing the United Nations Guiding Principles on Business and Human Rights (UNGPs). The RBC working group looks forward for this Action Plan to feed into the reflections on the incoming Commission’s work program.